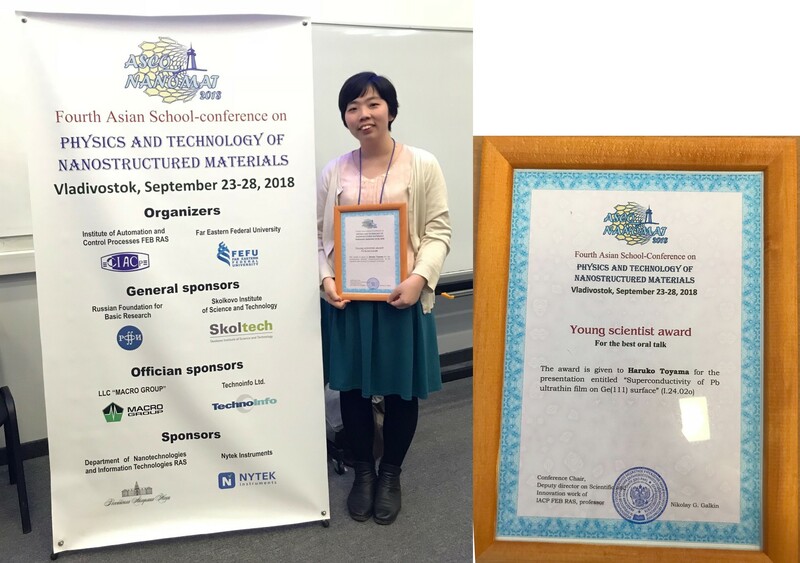 Ms. Haruko Toyama won Young Scientist Award of Fourth Asian School-Conference on Physics and Technology of Nanostructured Material. Ms. Haruko Toyama (M2, Hasegawa Lab.) was awarded Young Scientist Award of Fourth Asian School-Conference on Physics and Technology of Nanostructured Material (September 23-28, 2018).